(b. 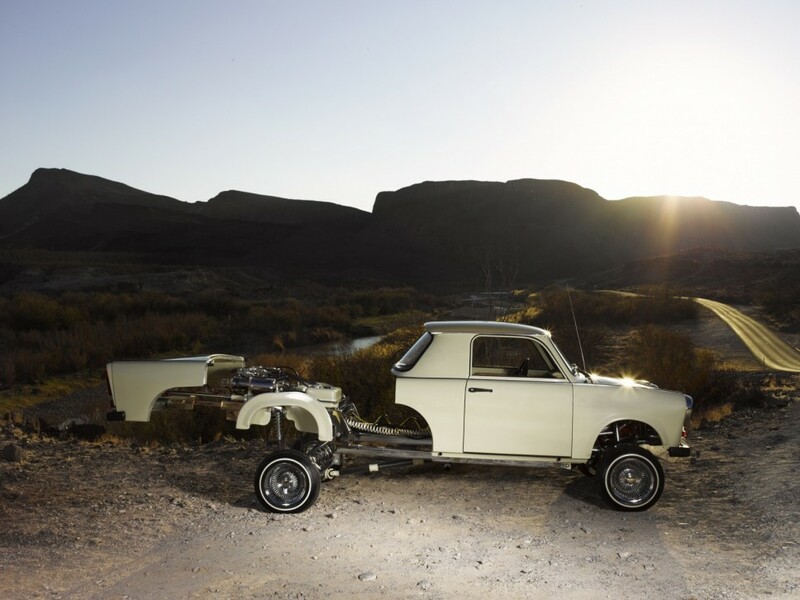 1973 in Phoenix, U.S.A.) For nearly twelve years, Liz Cohen has been making art with a car. Her works speak of cultural identification, gender stereotypes, and the enduring allure of the road. Her project Bodywork began in 2002, when she purchased an East German Trabant in Berlin and brought it to Detroit, where she lives and works. Over the course of many years, and with the help of several mentors across the country, Cohen became a master mechanic and began to modify her car. 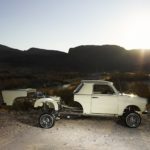 After eight years of bodywork—complete with hydraulics, new parts, paint, and chrome—she transformed her humble Trabant into Trabantimino, a hybridized car that merges the Trabant with a Chevrolet El Camino.